There's a cracked anchor shaft mounted next to Spinnaker Drive in Halifax, southwest of the city’s ports. At half a tonne, the giant piece of shrapnel testifies to the sheer destructive power of the Halifax Explosion of Dec. 6, 1917. When the French munitions vessel SS Mont-Blanc was blown to smithereens 15 minutes after colliding with the Norwegian cargo ship SS Imo, the French ship's anchor snapped and was rocketed four kilometres from Halifax Harbour, slamming into estate grounds near its current resting place. The Mont-Blanc had been carrying nearly 3,000 tonnes of explosives set for Europe, including picric acid, TNT and gun cotton. 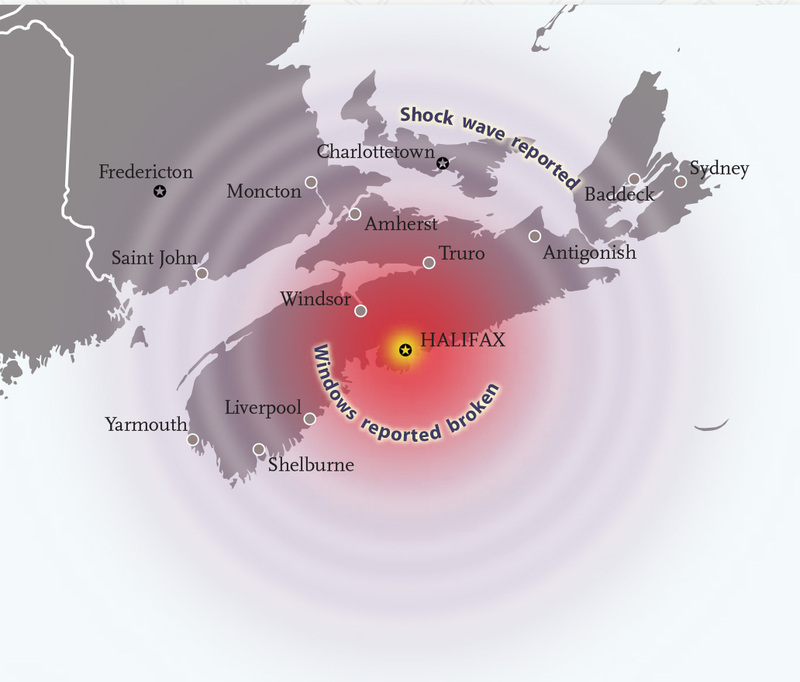 Windows were broken as far as Truro, N.S., more than 80 kilometres away, and the shock wave was felt in Sydney, Cape Breton, 320 kilometres distant. 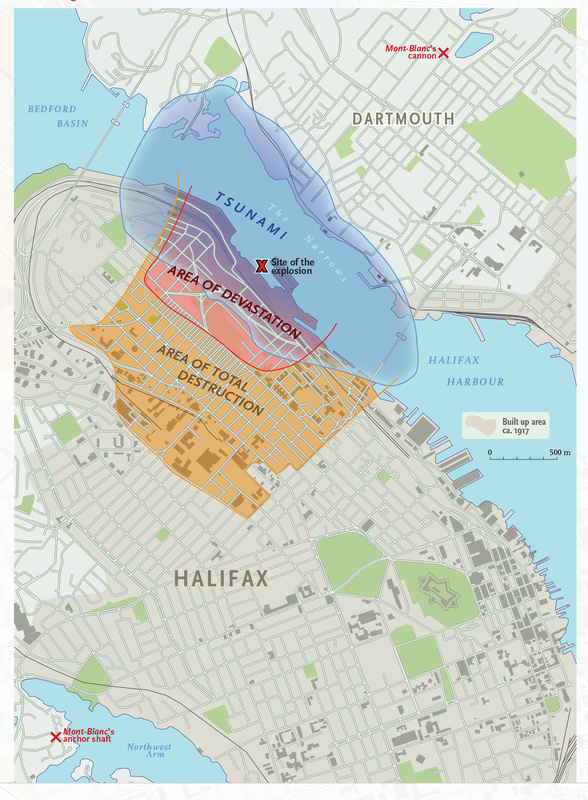 Halifax’s North End was levelled, more than 1,900 people died and another 9,000 were wounded. Recovering and identifying bodies in the rubble took months. Entire family names were struck from the city’s registry.